Right next to the Iguazu Falls on the Brazilian side, there’s a little Bird Park thats well worth a visit if your visiting the must see Iguazu Falls. There’s all sorts of amazing tropical birds free to fly around you as you walk around in very large cages. 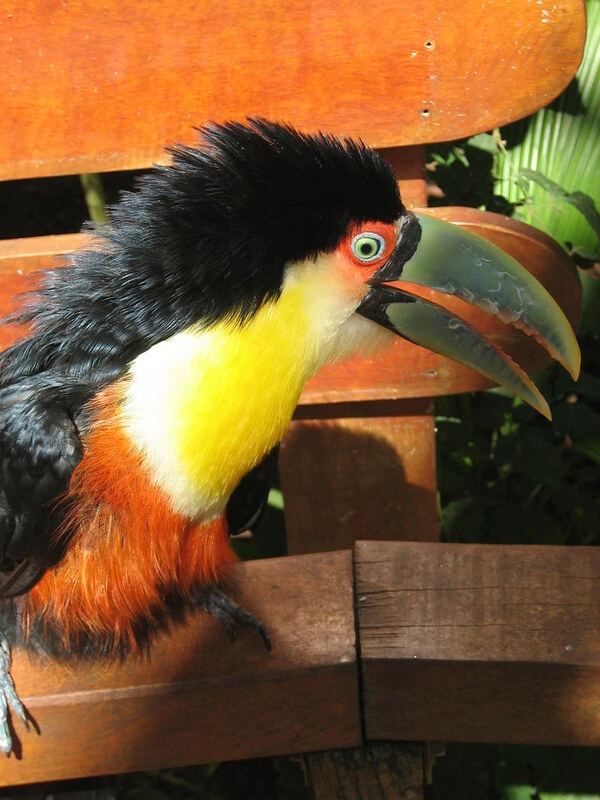 The highlight had to be the close encounter with two different types of toucans. 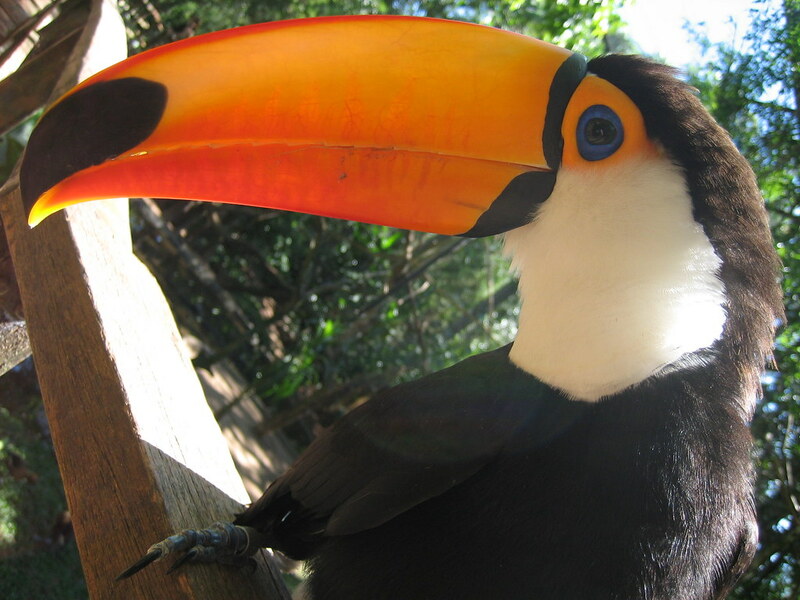 I was just in Foz do Iguaçu in August (2011) and loved the Parque das Aves. Of course, the falls were spectacular, but I had more fun at the bird park. I especially loved being able to enter cages to take photos. I was alone, but asked another tourist to take a photo of me —it is my favorite from my month-long trip —with a Toco Toucan right beside me on a railing. I spent more time on the Brazilian side of the falls and the day was sunny. I had less time on the Argentinean side on a cloudy, drizzly day. I felt more like I was in a natural forest in Argentina. I also enjoyed watching the antics of the coati (racoon-like creatures) there, although they are on the Brazil side too, just didn’t meet any. For me, it was a toss up which was more delightful. I would suggest to any would-be visitors that seeing both sides is a must.